Get it just right, and some bratty little half-pint girl breaks into your house and eats it. All breakfast foods seem to be like that. Cereal turns into sludge. Toast gets cold and hard. Eggs and bacon… well, nobody would ever get distracted from those. So they’re basically the perfect breakfast food. You use water? Milk or nothing for me. Wait what? You eat oatmeal without any liquid in it? 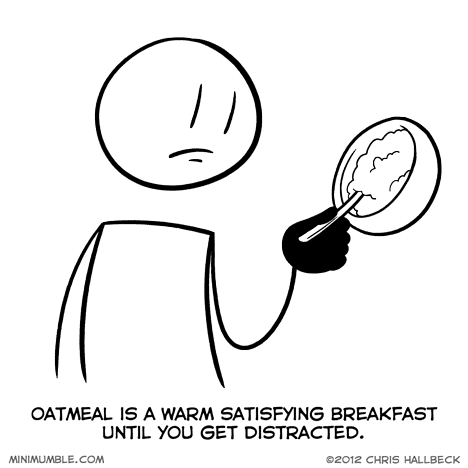 Does that mean that it’s just oats and no meal? Waaaiit… are you a horse?